Our unique combination of Organ/Vibes/Drums was refreshingly new to us and brothers musicians who would check us out. Somehow we happened upon this hip, neo- loungy sound, noticing a nice blend with the organ’s harmonies cushioned around the soft percussive attack of the vibes. Every Tuesday night we would play our originals and songs we grew up with which could include anything from a reworked Beatles arrangements to a well known jazz standard done with a time signature or groove twist, all the while forging a bit of our own ‘sound.’ At the time when we had been deciding how to document our musical evolution there, our good friend Manfred offered to record us for his new Twinz label. Manfred may have expected something along the lines of a more traditional piano trio from me but I told him that I had something a little groovier and hip for now; something in a retro-60’s kind of way. Manfred went along for the ride and by the time we had laid down all of the basic tracks we had decided that just making yet another jazz organ trio recording wasn’t enough. We wanted a somewhat broader, trippier sound that incorporated my full imagination as a keyboardist, Jamba’s as the consummate multi-mallet man, and Marcello’s heretofore undiscovered percussive talents. All of this was somehow mixed in with our more rebellious jazz tendencies. We’ve chosen standards more from OUR generation, songs we actually grew up with including gems by Joni Mitchell, Jimi Hendrix and Paul McCartney. This is Zoom. It’s meant to be listened to on many different levels. 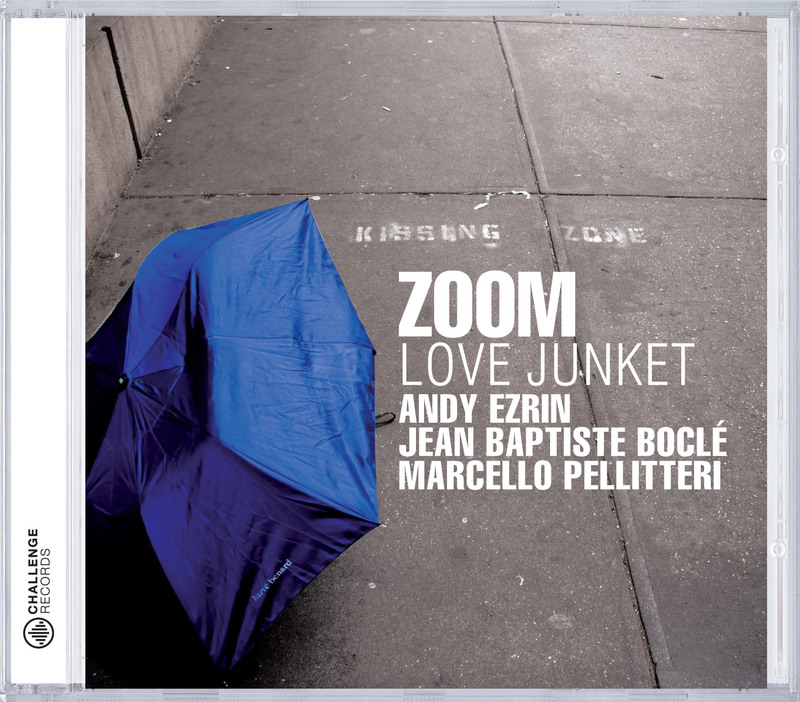 Andy Ezrin (liner notes.